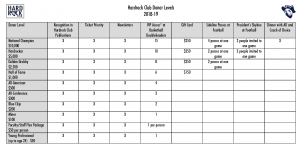 The purpose of the Hardrock Club is to provide scholarship funds for our scholar-athletes as well as to support and promote SD Mines and Hardrocker Athletics. 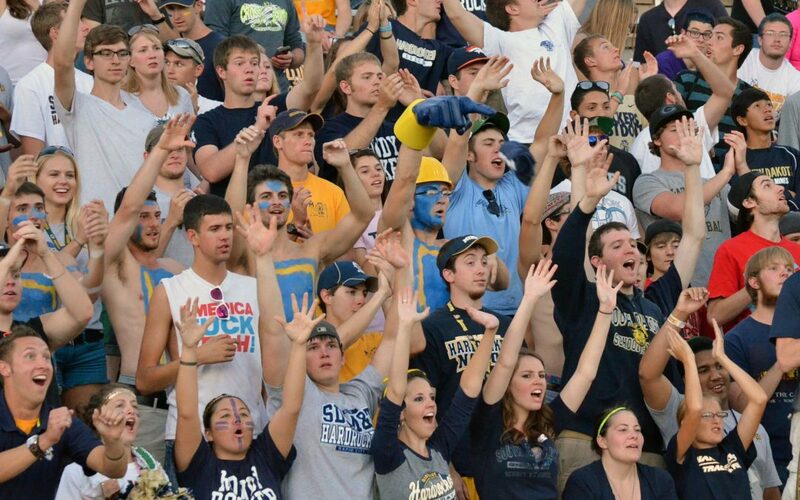 As the primary fundraising organization for Hardrocker Athletics, the Hardrock Club supports all 13 of our sports. As a Hardrock Club member, you become part of a community of the most ardent SD Mines supporters. “It starts at Mines!” Your membership in the Hardrock Club tangibly helps young men and women to pursue their education and participate in intercollegiate athletics at one of the most arduous and demanding institutions in the world. Further, your membership also aﬀords you many beneﬁts, including (but not limited to) priority access to season tickets and access to privileges not available to the general public. Also, please note that Hardrock Club Memberships are distinct and separate from Corporate Sponsorship Agreements, which have diﬀerent terms, conditions and beneﬁts. ons that appreciate the rigors of academic achievement as well as athletic success. This affiliation also comes with challenges. The average NCAA Division 2 athlete dedicates 85 hours per week to academics, athletics and community service. Add this to the already laborious coursework of an SD Mines student, and it becomes vital to recruit the right scholar-athletes who will succeed in this demanding environment. Our recruiting eﬀorts have expanded beyond South Dakota. The lack of scholarship funding by the State, along with decreasing state population and specialized ﬁelds of study at SD Mines all contribute to make recruiting NCAA Division 2 caliber scholar-athletes a challenge. Nationwide competition for this limited pool of bright and talented young men and women athletes is immense and creates a need for more scholarship awards. The Hardrock Club membership runs from July 1 through June 30. Your annual gift to the Hardrock Club may be tax deductible, so please always check with your professional tax advisor for speciﬁcs in your individual situation. Most importantly, your gift helps cover the cost of scholarships for about 200 scholar-athletes. Thank you for your support!